Summer is here! Don't you think this sunny weather is the perfect time to heat things up in the kitchen? Here's a recipe that will be a hit among the kids and the grownups! Easy as a-b-c yet oh so delicious! 1. Mix the salt, sugar and rum together. 2. Lightly press both sides of the meat into the mixture. 3. Place in a clean container, and chill in refrigerator for at least two days. 4. 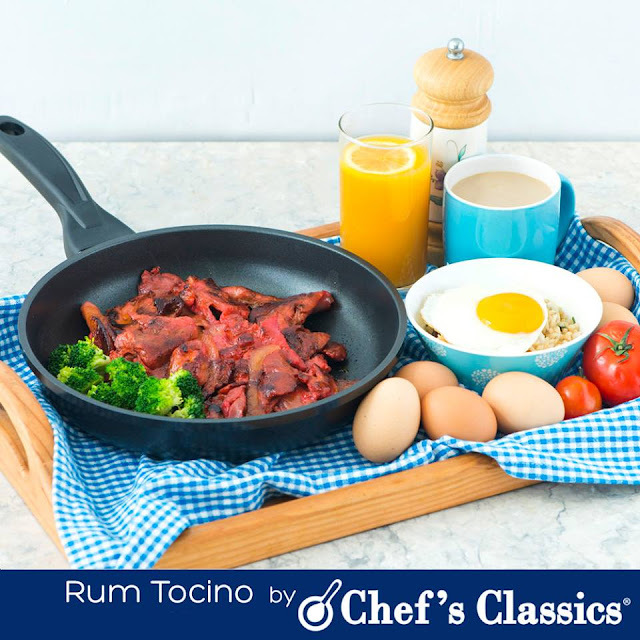 In a Chefs' Classics Hibiscus Frypan, fry the meat until cooked to your liking.